As medical marijuana takes root across the nation, there’s been one major obstacle for the field to flourish: the federal government. That all changed last week when Congress passed legislation prohibiting the Drug Enforcement Agency from arresting and prosecuting those operating legally under states’ medical marijuana laws. 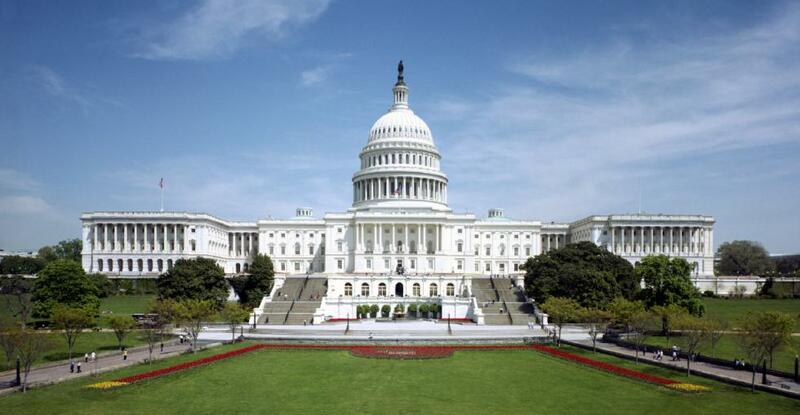 The bill was tucked into a 1,603-page federal spending measure. The move may encourage more doctors to certify patients for marijuana. Locally, physicians had been wary of certifying patients for marijuana. Baystate Medical Center has a policy that forbids primary care doctors from certifying patients for medical pot and many other area doctors have publicly said they will not get involved while threats from the feds lurk. There are only two doctors in Western Mass who have stated they will certify patients for medical marijuana. Dr. Glen Alli, medical director for community primary care at Baystate Medical, says the new legislation will set some nerves at ease, but it doesn’t necessarily mean Baystate will change its position. “It’s reassuring that doctors won’t be prosecuted,” he says. Though Northampton and Greenfield dispensaries won’t open until spring at the earliest, patients are already being certified for marijuana. There are a lot of people with medical marijuana cards, rolling papers and a pipe who are green to pot. They’ll need some guidance. Enter the medical marijuana consultant. Although many armchair tokers claim to be experts in their own right, few have done as much research as Parzybok. “I’ve read over a thousand studies,” he claims. Parzybok says many medical marijuana patients need more information to get set up and feeling better. As a consultant charging between $40 and $100 oer consult, depending on the length of time and type of consultation, Parzybok helps patients find caregivers and teaches them to choose the right strain, method of ingestion, and dosage based on the symptoms they seek to alleviate. He also shows them how to grow their own buds. He says doctors prescribing marijuana cannot legally refer patients to him — he is not a health professional — though he says he provides his contact information on the public bulletin boards of local prescribers. Many of his clients, he says, are older patients suffering from arthritis, fibromyalgia and other conditions involving chronic pain and discomfort. He says they’re nervous about connecting themselves with the culture but are “at their wits’ end” with their condition. That’s just how Bob Gunther, of Holyoke, previously of New York City, was when he went to see Parzybok. Gunther, who took part in the GazetteNet, WHMP, and NCTV sponsored forum on medical marijuana in November, has an incurable type of bone marrow cancer. “When Ezra became my medical marijuana consultant, my whole life changed,” Gunther said at the forum. Parzybok helped Gunther, who describes himself as a “Wall Street guy,” find a marijuana variety that helps him sleep and eases his anxiety and depression about his illness. It also helps with the nausea that accompanies chemotherapy. Cannabis has a reputation as a medicine that stretches back to around 2900 BC when Chinese emperor Fu Hsi said the herb is a powerful medicinal possessing yin and yang. People weren’t always sure how to apply medical marijuana — there was a time when people were using it to cure leprosy — but today we know why marijuana makes people feel good. Cannabis has a powerful biochemical system that produces cannabinoids, including a compound that helps it moderate its response to severe temperatures or lack of light, for example. Humans produce a cannabinoid, too. It’s called anandamide and it serves the same function as it does in the cannabis plant: it chills you out. When you stub your toe, the pain is swift to arrive, though almost just as quickly it subsides. That pain fades, Parzybok says, because the natural, anti-inflammatory cannabinoids rush to the cells, triggering the release of dopamine to counteract the stress chemicals that have been released. When there’s trauma or an underlying issue that causes chronic discomfort, the body’s natural cannabinoids can only do so much, Parzybok says. Sometimes herbal reinforcements are necessary. But what variety should a person chose? There are hundreds. All the varieties, though, fall under two main strains of marijuana, Parzybok says, sativa and indica. Sativa is the more uplifting strain. It’s great for relieving issues with depression and motivation, he says. Indica is more relaxing. Parzybok recommends it for people who suffer with anxiety, insomnia or a diminished libido. Some people want to skip the high that usually accompanies ingesting or smoking marijuana. For them there are tinctures and oils, Parzybok says. One of his clients, he says, has undergone many surgeries over her lifetime and has chronic pain. After suffering with addiction, she didn’t want to expose herself to the high. To help her get the pain-relieving benefits while staying in line with her life philosophies, Parzybok showed her how to make tinctures she can take several times a day in the form of a drop underneath her tongue. Parzybok says he prefers to smoke marijuana, claiming any negative health effects from doing so in small doses are miniscule. He says it is easier to control the dose when smoking because the effects are immediate. For those with existing respiratory issues, however, smoking may not be the healthiest option, he says. For cancer patients, he recommends vaporizing the marijuana as it is easier to administer higher doses that way. The first time Parzybok smoked pot he was in high school. It goosed his anxiety and he didn’t like it. Parzybok didn’t revisit marijuana again until his 30s, when a friend who knew a grower convinced him to try a strain that would lower his stress level. It worked pretty well. He found that taking a puff or two reduces his anxiety for a while and helps him sleep. Once he experienced the benefits, Parzybok says he began hitting the books. He wanted to know all about the plant and why it does what it does. 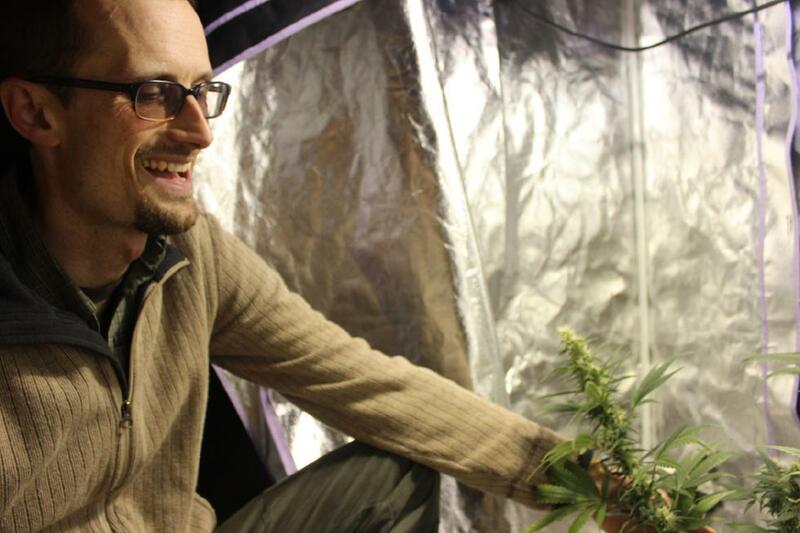 It took him years of research to figure out what was the best strain to treat his ailments. Now he grows it himself. 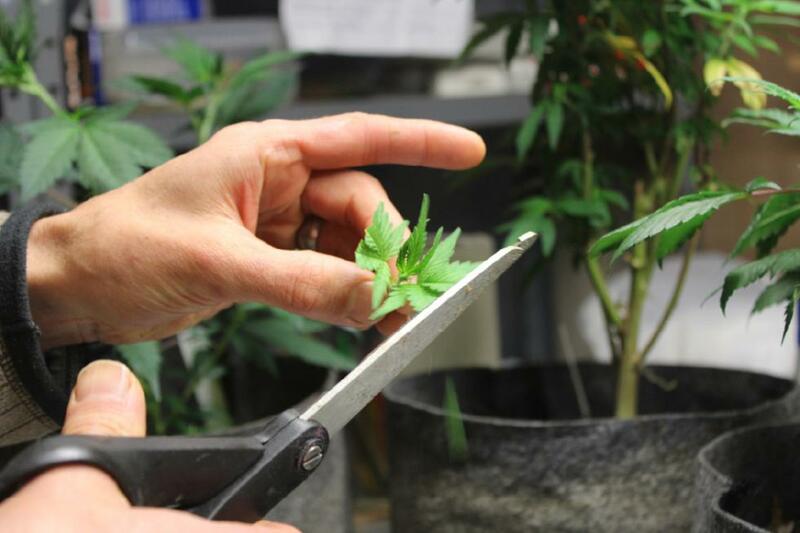 As a medical marijuana cardholder, Parzybok is legally permitted to grow his own marijuana. The more unearthing of information he did, the more his trepidation over being part of the “low-brow” marijuana culture subsided, Parzybok says. In 2013, Parzybok, who has a Masters in Fine Arts, quit his job teaching art to teen moms at the Care Center in Holyoke. He felt like he wasn’t connecting with the women any more and wanted to try a different career. Since he was already interested in medical marijuana, Parzybok thought he’d look for a job in that field. Parzybok says many doctors aren’t doing their homework when it comes to medical marijuana, though most physicians would disagree. It’s that science part that has the doctors at Baystate the most concerned. While it’s true that little research has been done Stateside due to the government restricting study, medical marijuana has been tested in Europe and around the globe extensively. Alli, the Baystate medical director for community primary care, says while the new legislation is reassuring, it may not change the hospital’s stance. Baystate officials and doctors considered three factors when creating the policy: federal law, medical research, and the clarity of the state law. The hospital, Alli says, had already decided to reevaluate the position regularly — but the federal news is likely to make it a more lively discussion. “I’m not sure where that will end up,” Alli says. In the meantime, Patriot Care — the national company which will open a dispensary in Greenfield in late spring — is planning to conduct clinical trials surrounding nerve disease, age and marijuana. Representatives for New England Treatment Access, which will open a dispensary in Northampton, declined to comment for this story. Parzybok says he would like to work at one of the local dispensaries when they open so he can continue the educative role he has been filling for the last year and a half. Mayerson says dispensaries are looking to hire local people who can be trained to advise people on marijuana. Parzybok knows he has a funky, eyebrow-raising job, but he’d like that perception to change. He has three children (ages five, six, and eight), and he knows that some parents of his childrens’ classmates may judge him for keeping marijuana around his family, but he thinks sugar-coated Advil is a much more dangerous substance to keep around children. He feels strongly that referring to the marijuana in his home as the medicine that it is — something only adults use when they need it — is the healthiest way to go about it. Contact Amanda Drane at adrane@valleyadvocate.com.